You know, you should really get that head wound looked at. Those are the words you will undoubtedly hear every time you wear the Bloody Head Bandage, because you will always look like you just suffered a severe and debilitating head wound. 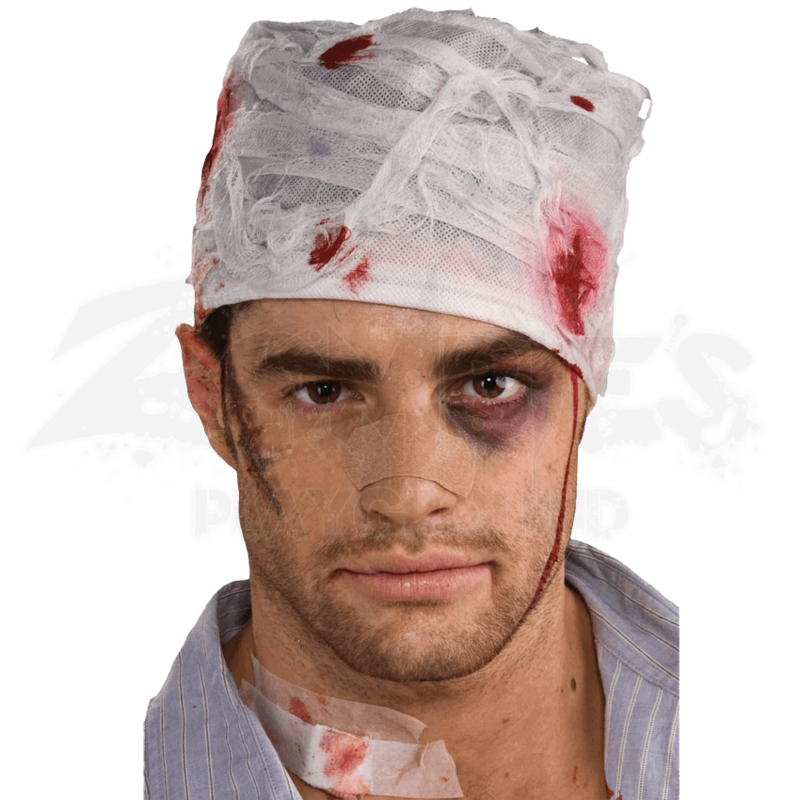 Wearing this bloody headgear, you will look as though your head injury was hastily wrapped up by a professional at the scene of the scene of the injury, mere moments after it happened. It is made from white gauze material that is stained and spattered with crimson red blood stains. The outer material is sewn onto a white cloth under-cap, which fits comfortably over your head for ease of wearing. 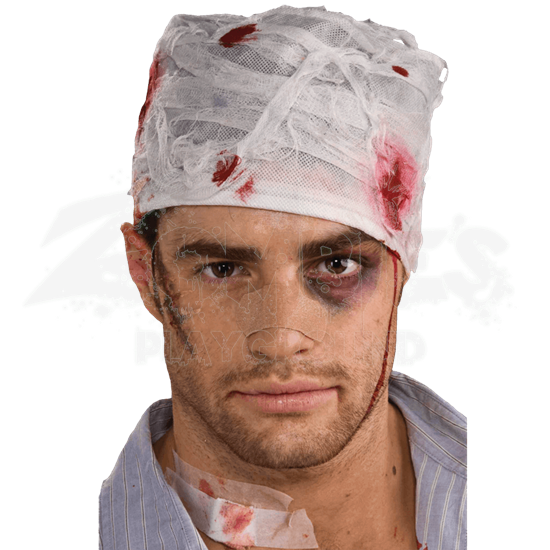 This bandage cap is only available in one size, which fits most adults and teens. Why are you wearing the Bloody Head Bandage? Did you get those injuries running from the first outbreak of zombies and some kind soul was able to patch you up once you stopped? Or did you get too personal with a zombie and wind up getting bitten on the head a few times? Either of these two are plausible, or you can make up your own story to match your injury and your costume.